Clausewitz vs. Sun Tzu | . Interesting. I wonder if you can levy any of this information into our next RTS LAN party. 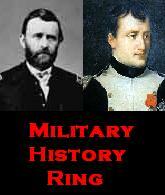 on May 22, 2008 at 6:01 pm Clausewitz vs. Sun Tzu Round II: The High Seas « . Anyone knows if there is a comparison with Gandy as well? Hello There. I discovered your blog using msn. That is a very smartly written article. I’ll be sure to bookmark it and come back to learn more of your useful info. Thanks for the post. I will definitely return. You misunderstand Sun Tzu. 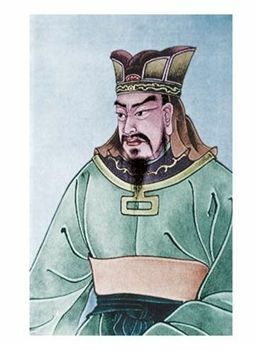 Sun Tzu also talks about “friction” in his book, he calls it “shih”. He says, for example, “The rush of water, to the point of tossing rocks about. This is shih.”. What this means that, shih is the power inherent in a configuration. So,just because the enemy has more men, does not mean that he will win. If you put your troops in the proper “shih”, the natural strength (through a superior formation or terrain feature) of the troops will come out to defeat the enemy. This is essentially the same as Clausewitz’s “friction”, because in theory, the army with the most men should win, but because of “shih” or “friction” this can change that outcome. Another example, Sun Tzu said “bravery and cowardice are a matter of SHIH. Strength and weakness are a matter of FORM.” The best example of this is the Battle of Guagamela, where Alexander used SHIH and FORM to change the outcome of the battle, thus also proving Clausewitz right with is concept of “friction” of war. Numbers do not mean anything, because “FORM” and “SHIH” create Clausewitz’s “FRICTION” to change the outcome of the battle. He also says, that “Victory can be known. It cannot be made”, this is the same concept of “friction” from Clausewitz. Superior numbers do not necessarily mean victory, but there are other factors (for Clausewitz this is “friction, for Sun Tzu, this is “shih” and “form”). 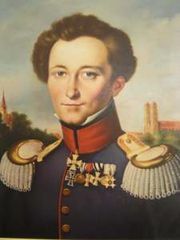 In sum, Sun Tzu and Clausewitz, as regards to the actual fighting on the battlefield, are the exact same and if the American Civil War generals would have listened to Clausewitz earlier instead of that fool Jomini who thought war was a science that could be fought with geometrical equations, the Civil War would have been a lot less bloody (e.g. the infamous Picket’s Charge at Gettysburg), because if war was a science, than numbers would be all that matters, but it is not a science because “friction”, “shih”, “form”, “terrain” and other factors determine the outcomes of battles and wars as well.. War is an ART, NOT a science.